Briët, J, & Gopi, S. (2018). 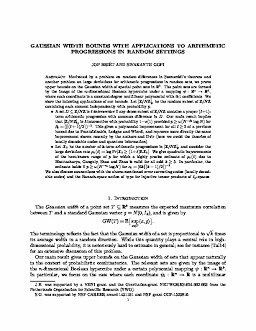 Gaussian width bounds with applications to arithmetic progressions in random settings. International Mathematics Research Notices.